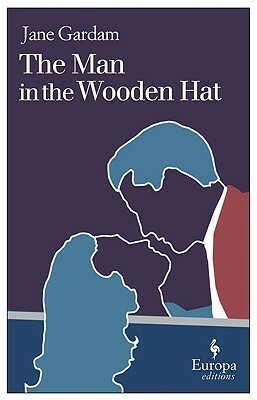 Today I'm featuring an upcoming read, The Man in the Wooden Hat by Jane Gardam, borrowed from the library. There is a glorious part of England known as the Donheads. The Donheads are a tangle of villages loosely interlinked by winding lanes and identified by the names of saints. There is Donhead St. Mary, Donhead St. Andrew, Donhead St. James and, among yet others, Donhead St. Ague. This communion of saints sometimes surprises newcomers if they are not religious and do not attach them to the names of village churches. Some do, for the old families here have a strong Roman Catholic tinge. It was Cavalier country. Outsiders, however, call the Donheads "Thomas Hardy country" and it is so described by the estate agents who sell the old cottages of the poor to the rich. Earlier this year I read and enjoyed Old Filth, the first book in this series. Gardam's writing style, interesting characters, and descriptions of life in service to the British crown are quite engaging. First Chapter ~ First Paragraph #122 was originally published by Catherine for bookclublibrarian.com. This post cannot be republished without attribution. Retweeting and sharing on Google+ encouraged.